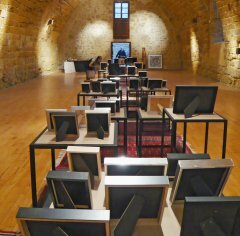 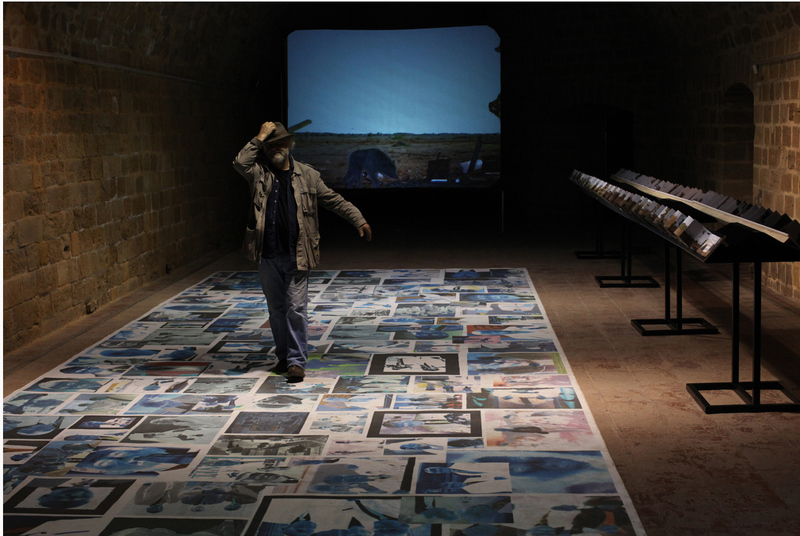 An artist with a long-lasting presence on the art scene of Cyprus. 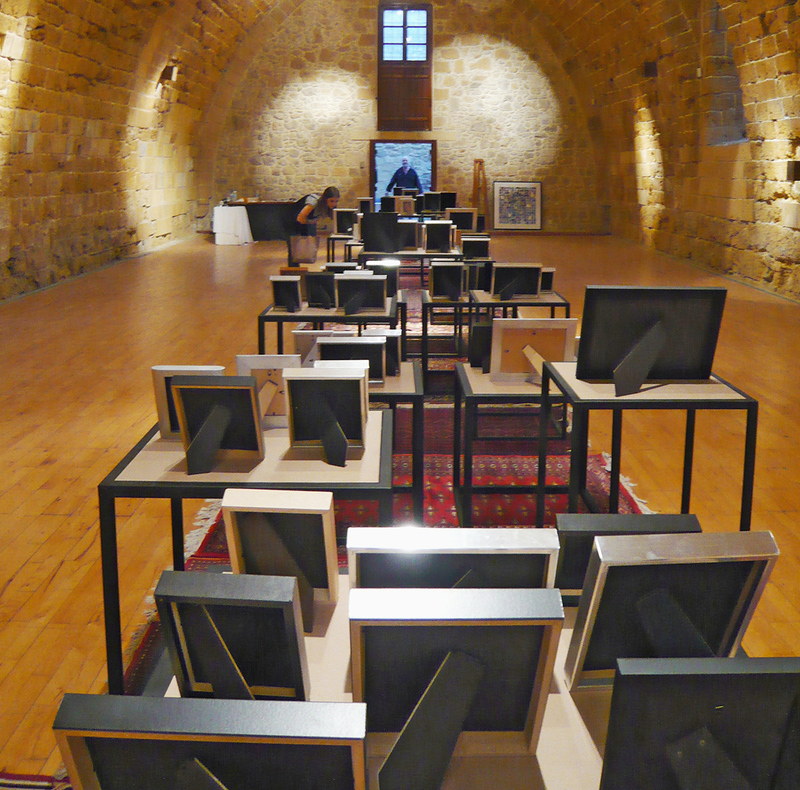 Nikos Kouroussis has traversed with his work many time periods of the island’s history, having strong personal memories, especially since he fought the British colonialists as a young man. 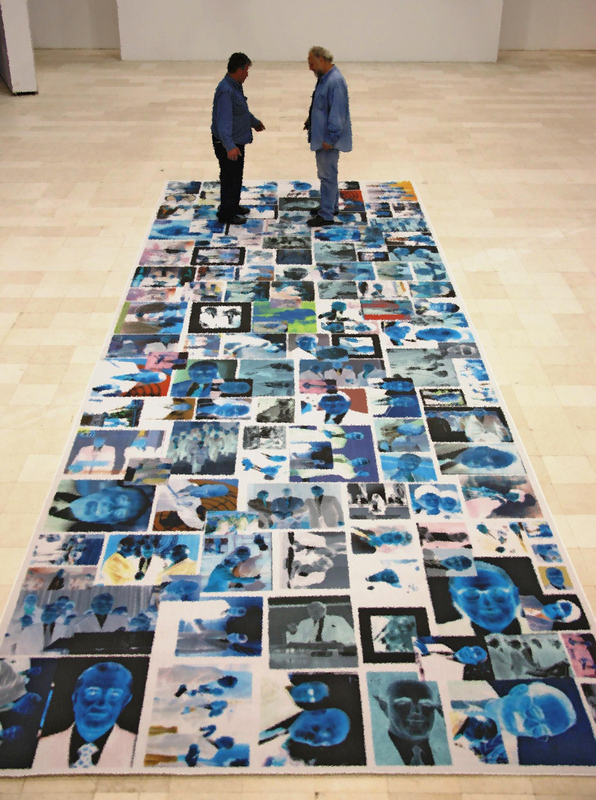 History often acquires legendary dimensions and become the excuse for indirect comments on current affairs. 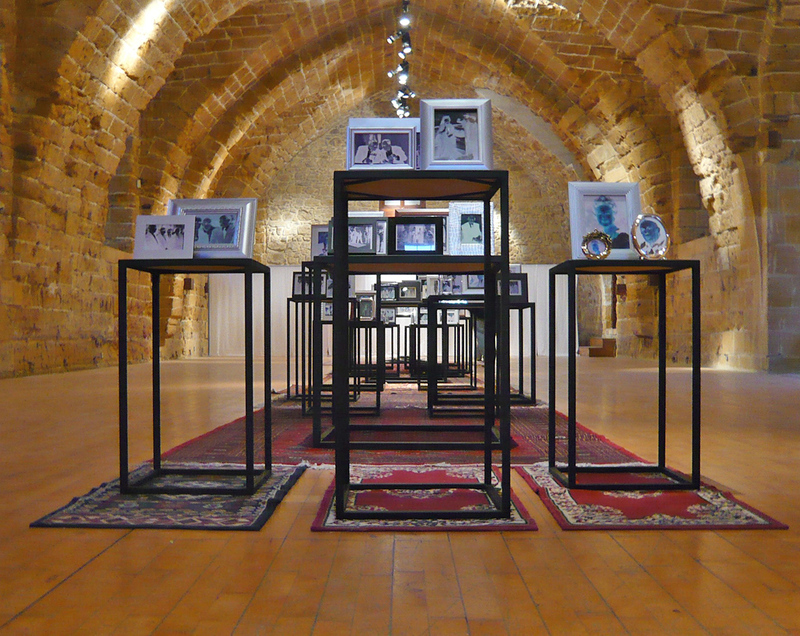 In The Protagonists, however the artist uses the strict sense of the word: the work consists of a set of photos, which show those who have played a leading role in the political history of the island. 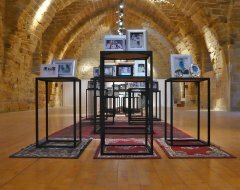 The printing of the photographs has a direct relation to the concept of archive and memory, treasured by the people of every nation. 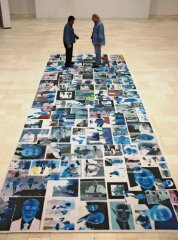 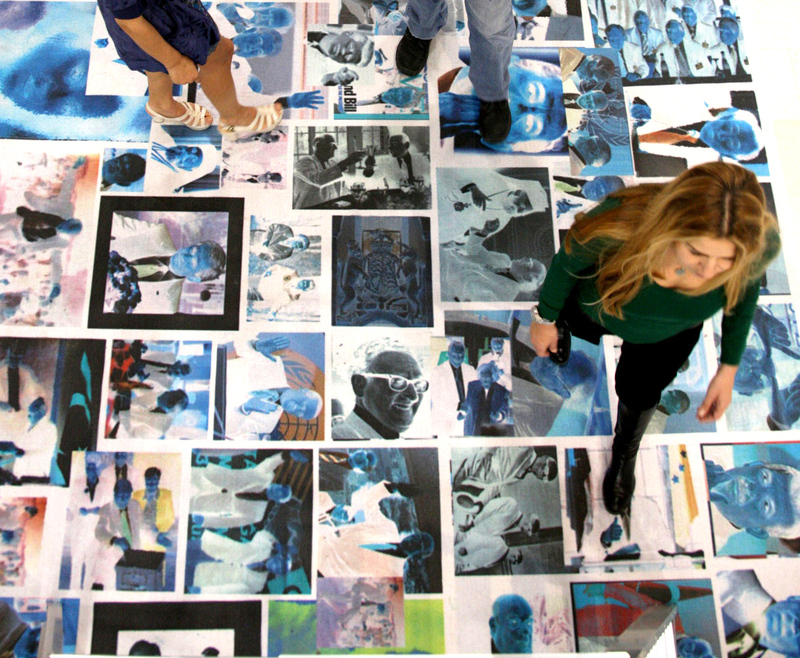 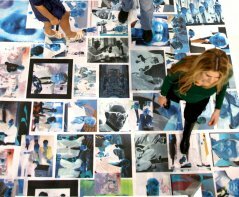 In this particular artwork, the colour printing, with its pop character, of the photo negatives on a carpet, on which the viewers actually walk, demystifies both history and contemporary artwork. 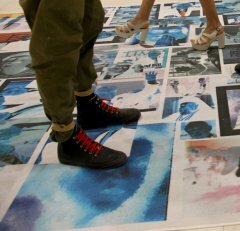 The ideal position of a viewer to understand history is to have it under his feet, giving in this way a primary position to the present. 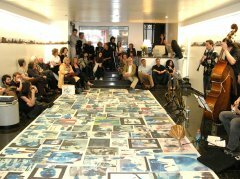 The analogy between the artwork and the red carpet used for welcoming dignitaries or the flying carpets featured in the various myths lends it the special character of the trivial outdated sanctuary. 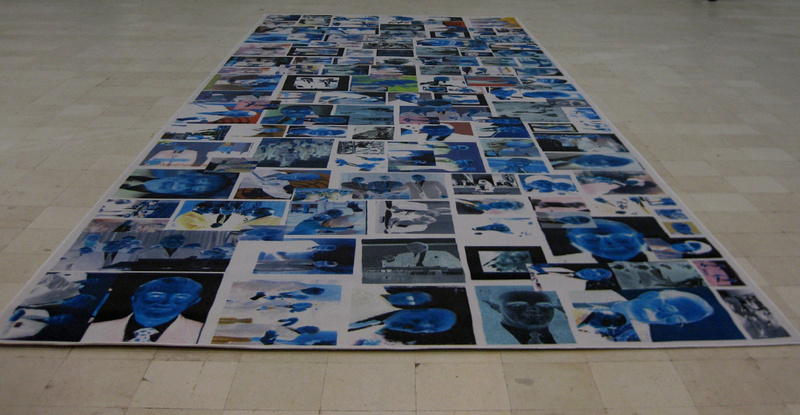 The carpet has already travelled to the countries that have played a decisive role in the history of Cyprus- namely Greece, Turkey, England, and the USA- and continues its route as a mobile handbook of history, in which the events have been concentrated on the faces of the Protagonists.